A fleeting moment of Pacific Northwest summer this year was surrounded on the mid-June and mid-August sides by cool, cloudy, rainy days, and now it seems that fall is here. It was 57 degrees in my bedroom when I woke up this morning. Already time to start closing the windows. 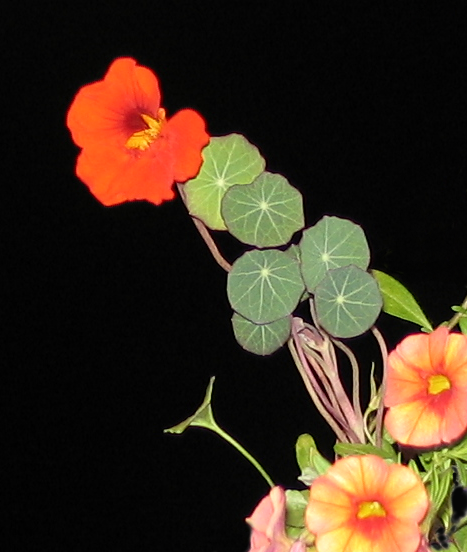 From four seeds that a friend of my mother's brought from New Zealand a couple of months ago, a single heirloom nasturtium has managed to bloom at last.